Race cars are fast, loud and not the easiest to just ‘hop in and drive’. But they make the driver feel like god as they learn to control the surplus of power while at the limits of traction. And when a hatchback gets involved, it just makes the recipe a bit more delicious. Low on weight, and all wheel drive, hatchbacks are the way to go when circuits are short and twisty where the short wheelbase gives ultimate advantage in flickabilty, exactly the kind of thing needed for a RallyCross Championship. 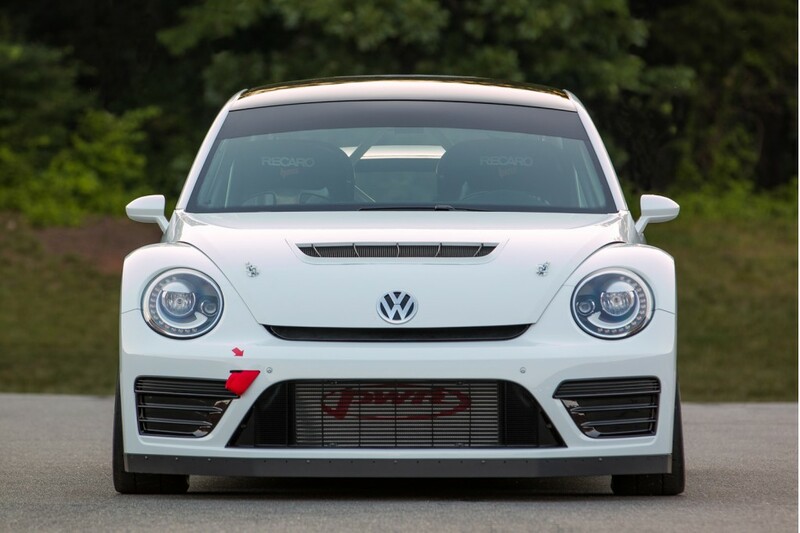 The 2014 Global Rallycross season kicked off back in May with American driver Scott Speed driving for the Volkswagen Andretti Rallycross Polo sitting on top of the points table. Now there is a better, more bonkers car that he can switch to. 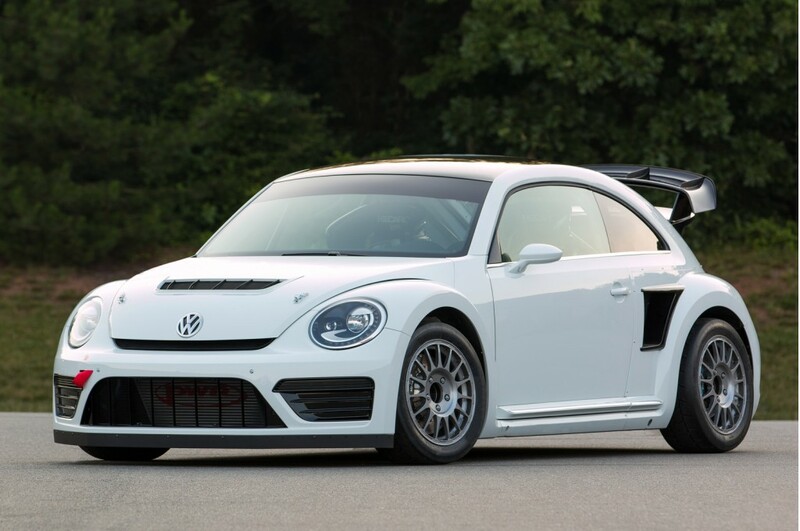 Prepared by the Volkswagen Andretti Rally cross team, the GRC car is powered by a turbocharged 1.6-litre, 544bhp four-cylinder engine mated to a sequential six-speed gearbox. Further down, the transmission delivers the power via mutiplate limited-slip differentials to all the four-wheels. The car sports 17-inch wheels and massive 14-inch front and 11.8-inch rear discs with four-piston calipers to provided the needed stopping power. The Beetle looks monstrous too. With its large rear wing, wide-body fenders and agressive front, the car is 168.8 inches long and 71.7 inches wide, weighing 1210 kgs as per series regulations. 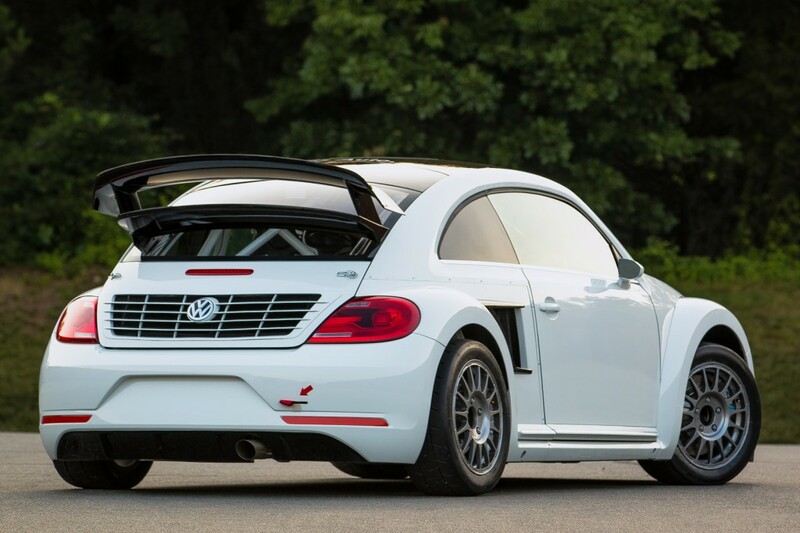 With this combination of low weight and massive horsepower, and with a all-wheel drive traction control system aiding the little bug to put its power down, the Beetle Rallycross is predicted to race to 100 kmph from a standstill in just 2.1 seconds. And we are sure, even after all the mods and technology that has gone into making the go-faster Beetle, it would still cost leap-fold lesser than the jewel in the Volkswagen Group’s crown the 0-100 in 2.6 seconds Bugatti Veyron. Seat Belt. Is it really important to wear?